For mobile clients, it may be beneficial to streamline how they generate documents on the go. If your users typically create a few documents in the field, such as quotes or service orders, you may want to consider using the S-Docs automation features to simplify the process. This could remove the need to place an S-Docs button on the Salesforce1 app and reduce the number of clicks and potential errors or omissions. For example, you can add a picklist on your mobile page layout with the follow values: Email Quote, Email Service Order. When the user selects that value and saves the Salesforce record, an S-Doc is automatically generated and emailed from the Salesforce cloud. The user does not need to do anything else. This process can be configured without writing any code by using the Salesforce Process Builder. See the documentation here. If you would like to leverage the full features and functionality of S-Docs on Salesforce1, it is described in this document. Note. As of Spring '17, only S-Docs Templates with "Auto-create File" checked (found in the Document Options tab of the Template Editor) can be reliably viewed across all devices*. In Salesforce1, S-Docs Templates with "Auto-create File" unchecked can still be generated, emailed, etc. as usual, but cannot be reliably viewed across all mobile devices in mobile browsers or the Salesforce1 app. *This is because, as of Spring '17, only Salesforce Files can be reliably viewed on all devices in Salesforce1 - the same may not hold true for Salesforce Attachments or other document rendering methods in Salesforce. 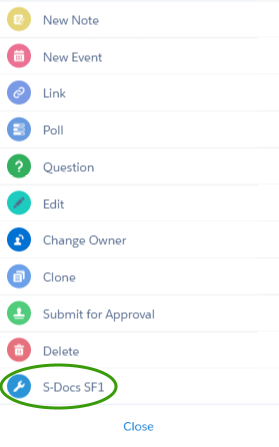 Checking "Auto-create File" on your template will create a Salesforce File when you generate an S-Doc, so this will ensure that your document can be reliably viewed across all mobile devices in Salesforce1. 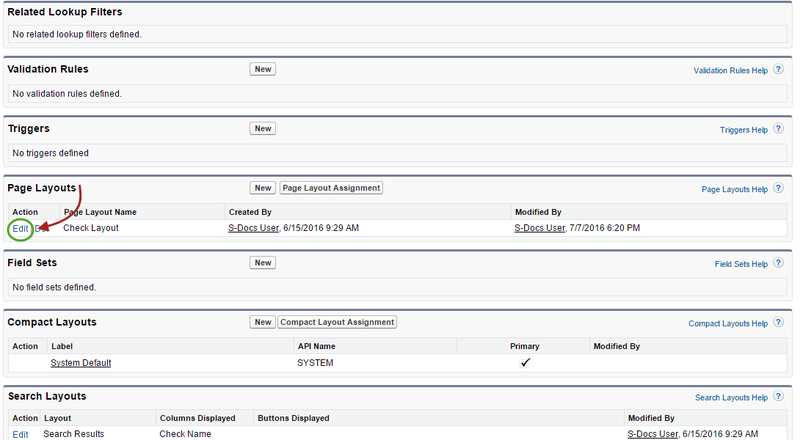 Before we see to configure S-Docs for use with Salesforce1, we will first see the feature in action. 1. Select the object you created the button for. 2. Select any record from this object. At the bottom of that record’s page, tap “Show More”. 3. Scroll down and tap “S-Docs SF1”. 4. Use S-Docs to generate documents just as you would on a desktop. It’s that simple! 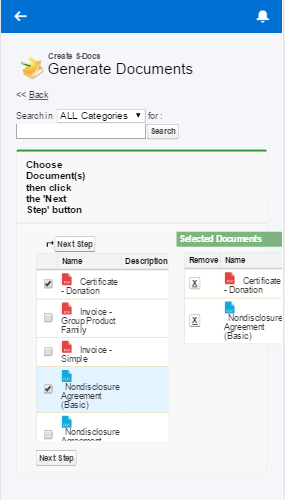 We will now discuss how to set up S-Docs for use with a particular object in Salesforce1. 1. Create a new S-Docs SF1 button for a particular object. Setup > Build > Customize > YourObjectName > Buttons, Links, and Actions. Then, click “New Button or Link”. Setup > Build > Create > Objects. Then, click the name of your object (not the “Edit” button). In this example, our object is a check. After you click the name of your custom object, scroll down to “Buttons, Links, and Actions” and click “New Button or Link”. If you are making the button for a standard object, the API Name is the same as the object name for all objects (e.g. the API name for an opportunity is Opportunity) except for products; for products, the API name is Product2. If you are making the button for a custom object, you can find the API name on the same page you found the “Buttons, Links, and Actions” table on in 1b. Once you finish pasting and editing the above code, click “Save”. 1. Navigate to the Page Layouts for your object. Setup > Build > Customize > YourObjectName > Page Layouts. Click “Edit” next to “YourObjectName Layout”. For accounts and opportunities, there is a layout called “YourObjectName Layout SDoc”. Do not edit this layout; rather, edit the layout called “YourObjectName Layout”. 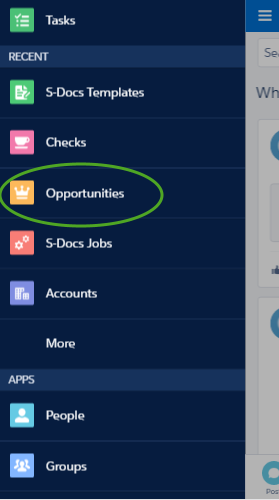 In our opportunity example, we are editing “Opportunity Layout”. After you click the name of your custom object, scroll down to “Page Layouts” and click “Edit” next to “YourObjectName Layout”. 2. 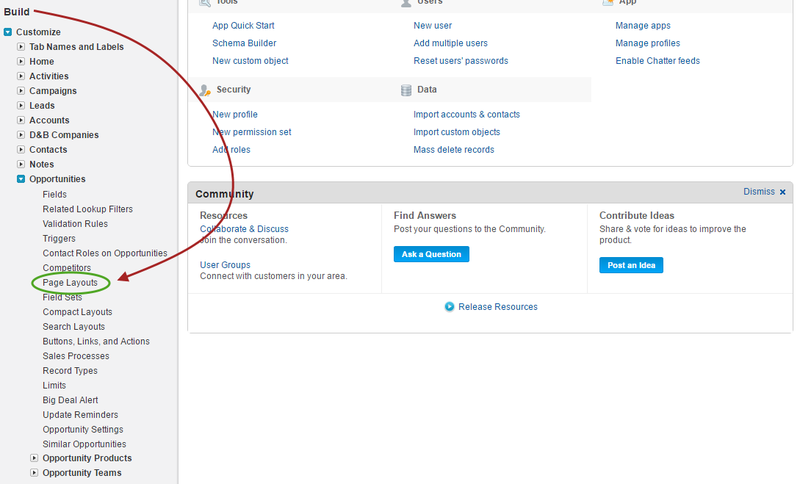 Scroll down to “Salesforce1 and Lightning Experience Actions” and click “override the predefined actions”. 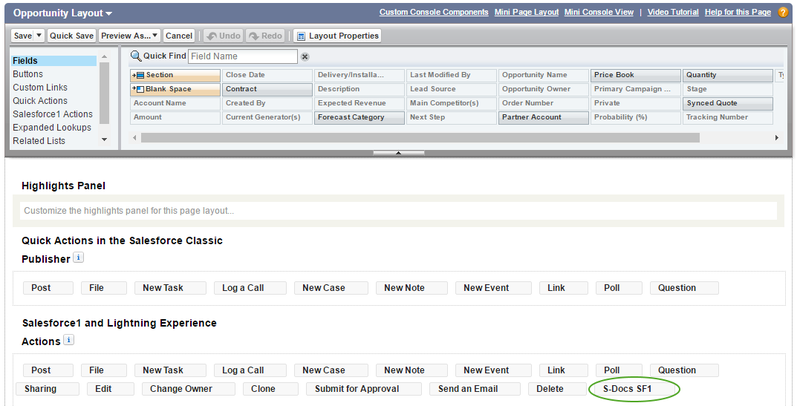 Then, click “Salesforce1 Actions” in the toolbar at the top of your screen. Now, get rid of the standard S-Docs button by clicking it and dragging it anywhere within the toolbar. 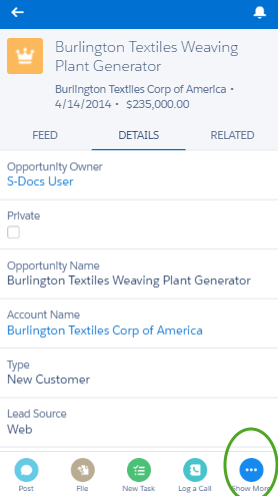 After removing the standard S-Docs button, click and drag the S-Docs SF1 button into the Salesforce1 and Lightning Experience Actions group. Click “Save” to finalize your changes. S-Docs is now enabled for use with this object in Salesforce1!